We also love bulldogs; pretty much any bulldog. 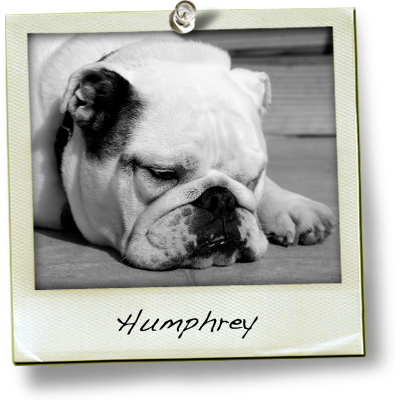 But we especially love Humphrey, our beefy little English bulldog. He’d probably like to try every dessert in town too, but instead concentrates his energies on snoozing and sunbathing. He’s our little Chubster. And this bakery is for him.